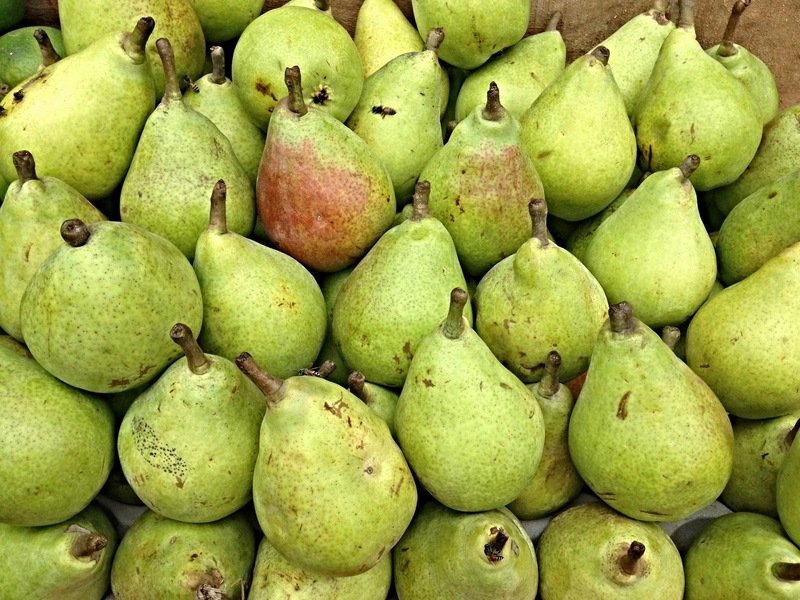 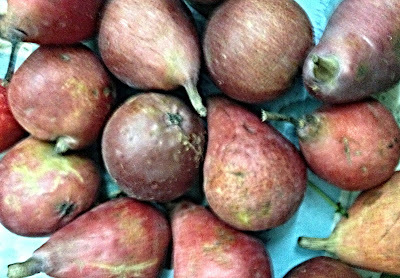 Pears are red and green. 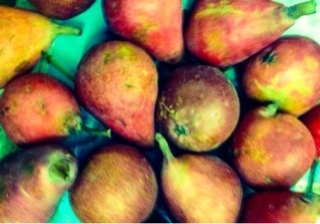 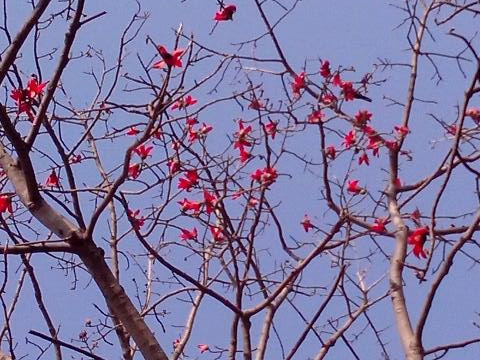 Too red pears seemed to be withering. So I decided not to buy red pears.